Remember how popular Beanie Babies were a couple decades ago? As rare as it was to find some of the most popular stuffed animals, a collectable craze was nothing new. Humans have an instinctual need to hunt, gather and collect. From the earliest cave dwellers gathering wood to make fire to baseball cards, decoder pins, and yes, bean-filled stuffed animals, we are collectors. And now we’re gathering, or catching… Squirtles? Pokémon Go introduces us to a new way to collect as it hits the world by storm. The record-breaking popularity of the mobile app has landed a regular spot on your newsfeed and nightly news cycle. It’s no wonder brands of all sizes are trying to take advantage of the high user adoption rates in hope of attracting just a portion of the players to their local storefronts. Consider this: Thomas Sanders recently reported via Tumblr a story of how one man’s journey to “catch them all” landed him on an unexpected new startup venture. If you’re unfamiliar with the app, Pokémon Go urges users to collect and catch some 200 digitized animals by using your mobile device’s geo-mapping capabilities combined with the camera function to throw “poké balls” at the creatures and trap them inside. Once you have the creature in a ball they’re yours to train and battle other app users until you collect all of the remaining Pokémon creatures. “Lures” do exactly what the name implies and lead users to highly coveted “pokéstops” throughout the country. Sanders reports a morning that started out in a very peculiar way for one app user. This user was shown a lure to a pokéstop located in a middle of a nearby lake. The man quickly grabbed his kayak, started rowing out to the location listed on the app, and eventually made it to the pokéstop. He was relieved to find that he had the pokéstop all to himself, but noted the oddity of his current situation. Upon arrival back on shore, he was greeted by another app user asking about the same lure that brought him to the lake in the first place. After assuring the fellow app user that the pokéstop was legitimate, he was offered $10 to allow his new found friend the ability to borrow his kayak and explore other pokémons hidden around the lake. He accepted the offer, and instantly, a new industry was born. If one user is willing to paddle all the way out to the middle of a lake to find a pokéstop or even pay money to rent a kayak, what’s stopping businesses from using the same tactics to drive foot traffic and increase sales opportunities? 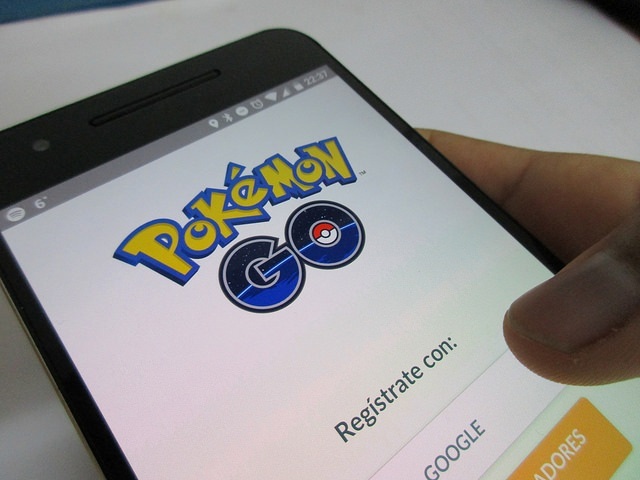 It’s true, marketers are looking for ways to jump on the Pokémon Go bandwagon. Some of my favorite Pokémon marketing campaigns include custom battery packs to help combat the power drain of running the app for extended periods of time, free wifi hotspots for users who sign up for the corporate newsletter, and T-Mobile’s free data usage promotions. There was no way of truly knowing how big the mobile-based augmented reality app would expand when Niantic released the game in early July. And what the success really boils down to is timing. Technology has worked its way in the right direction for years now by building on constant advancements in geographically targeted marketing practices. Location-based services have long been adapting to fit our existing needs, all the while creating new ones. MapQuest was a familiar form of early technology. Internet searches replaced maps and guidebooks, and from that point on, print-dominated mediums were a thing of the past. Although we still were handcuffed to desktop computing and Internet speeds, the times were changing – and we were accepting the new digital development. Now take a look at any of your apps from retail stores you frequent. What if there was a way to send messages through a retail store app like Target alerting users to check out seasonal items in the back of the store when they enter through the front? Or what if your Home Depot app could send mobile advertisements to users when they are close to a local store? Finally, what if your Southwest Airlines app could send users an estimated walking time from their current location at security to the location of their terminal gate? Would it surprise you that all of these new-age brand-messaging methods are available today? Our phones are smarter, faster and more reliable than ever. In this new digital landscape, mobile marketing has taken a step forward. There are millions of apps available, and for mobile marketers, the struggle is now harnessing the power in the palm of your hand. Mobile marketing can be extremely lucrative not only for nationally recognized brands but also startups looking for a way to reach their growing customer base. 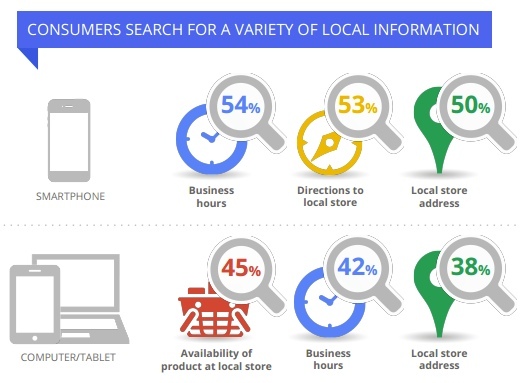 Google recently reported that 50% of all mobile searches are conducted in hopes of finding local results, and 61% of those searches result in a purchase. Maybe that’s why brands like Ikea, McDonald’s and Pizza Hut are expected to double down on their mobile marketing by adding new beacon technology to their advertising collection. What are beacons, and why should your brand have them? 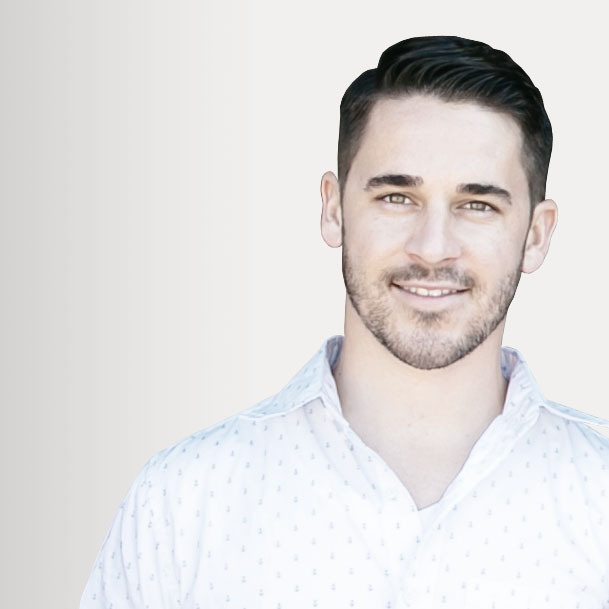 Patrick Leddy at PulsateHQ breaks down the incredible features of beacon technology and the capabilities for your brand. In a nutshell, beacons are branded message points that send information to Bluetooth enabled mobile devices when users reach a certain vicinity from the beacon. Similar to how a lighthouse sends a beacon of light warning ships of the coastline, beacons send a signal to mobile devices to see and take action. This technique is becoming wildly popular and has enabled local storefronts to interact and engage with customers in a highly targeted and engaging way. Beacons are perfect for brands with brick and mortar locations in industries ranging from retail to airports to grocery outlets and even food trucks! Imagine being able to lure in a potential customer with personalized offers as they pass within a certain distance of the store’s location, or better yet, send promotional campaigns to customers inside the store to give incentive to purchase items that they’re interested in. National retail giant, Macy’s, was the first major retailer to adopt beacons for their New York and San Francisco locations. In the successful test, Macy’s used beacon technology to recognize customers who had downloaded the Macy’s app, and customers received customized offers and products similar to what they had previously liked or purchased. Here’s how the Macy’s Shopkick iBeacon campaign worked. Beacons are effective because of their ability to be “hyperlocal” and meet customers at the point of purchase. What does this mean for your brand? Which brings me to my next and most important point: is it worth it? Should you invest in the new technology? The answer is an astounding YES! Hyperlocal technology should be a part of your marketing strategy because the message you send is hyper-relevant to your audience, which in turn means that it is hyper-cost-effective and leads to a higher ROI. With geo-located advertising, you are only spending money to reach a centralized customer audience instead of the masses. The ability to communicate directly to the customers who are most interested in your product is paramount and shows how outdated traditional advertising vehicles are. Advertising on TV and in print can reach the masses by way of expensive campaigns that merely spray and pray without any real control. Sure you can try to match an audience with a specific TV channel or time a radio spot for when you think your audience will be listening, but targeting customers at the right place with the right message at the right time — when they are most in demand for the product — is where you can see and measure the most significant marketing success rates. What does hyperlocal marketing mean to you, and how can you use it to your advantage for your brand? Location-based technology is crucial to startups and international brands alike looking to reach customers on the go; and although Pokémon Go has increased its awareness, local targeting will be around long after you’ve caught them all.